This tutorial demonstrates how to allow different CSS	documents at runtime on the Form . 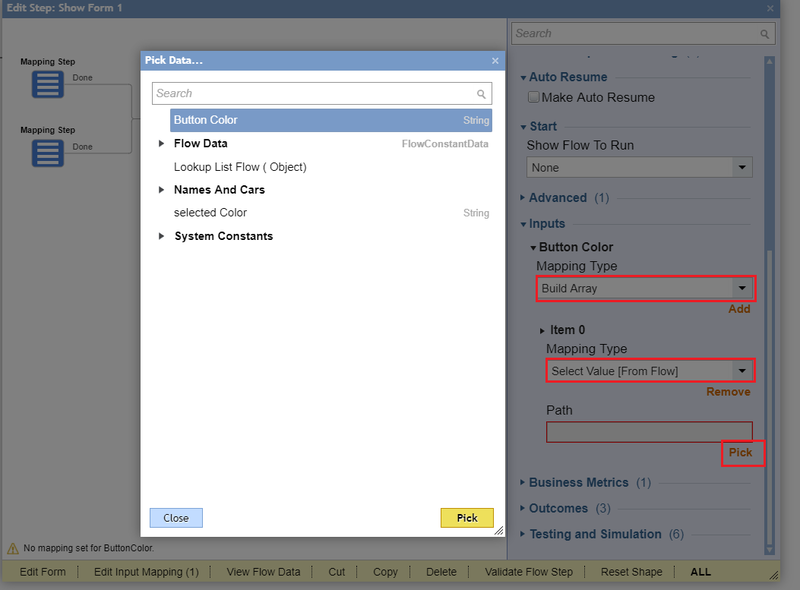 This feature is implemented in Decisions 4.0. With this feature we can style our Forms dynamically at runtime. 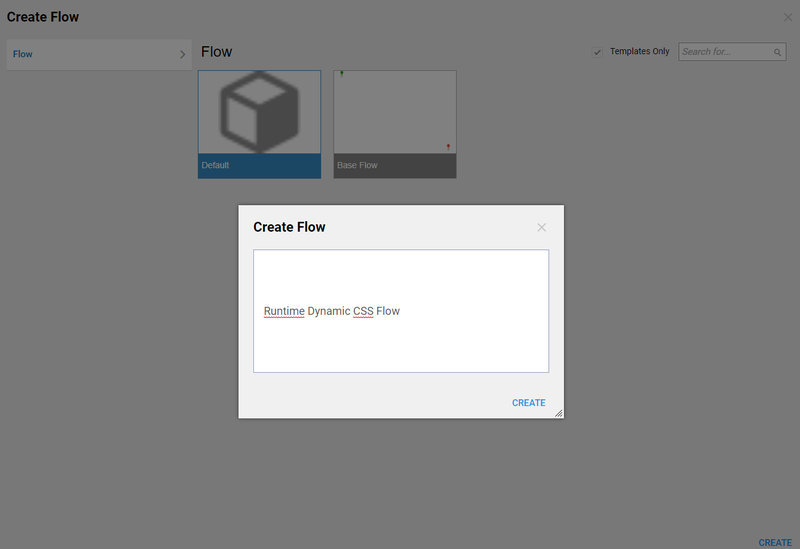 In this example we are going to create a simple Flow with two Forms : on first Form user will be able to pick a color and on a second Form depending on the user selection we are going to use different CSS	documents to style a Button	control. For this example we have two simple CSS	documents that we are going to upload to Decisions . 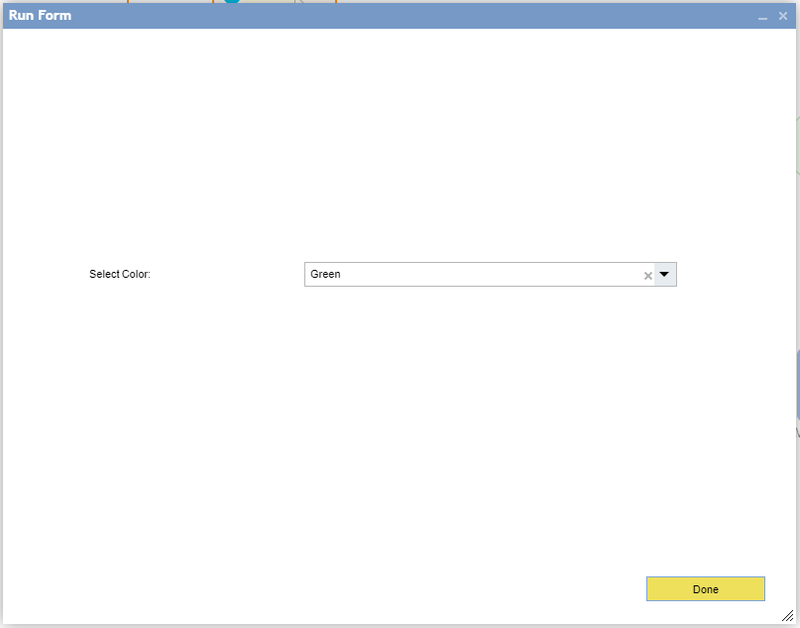 First document sets a background color of the Button	to*‘green’* . Next, we add this CSS	documents to Decisions . To learn how to add CSS document to Decisions please click here . 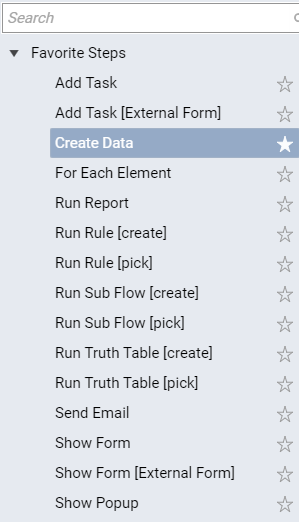 Then, in the Designer Folder	we click Create Flow	on the Folder Actions Panel. 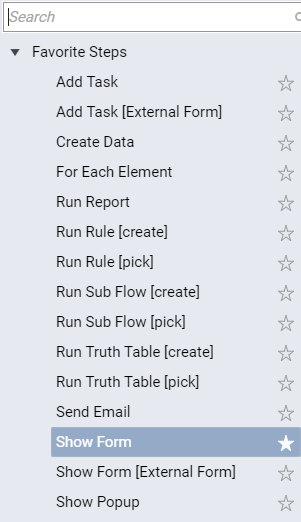 Next, we Name	the Flow and click Ok	to proceed to the Flow Designer. Our Form	is designed to have a dropdown control for user to be able to select a color from two options: ‘green’ or ‘red’. To learn more how to create your first Form please click here . This completes our Form . We can save the Form and close Form Designer. 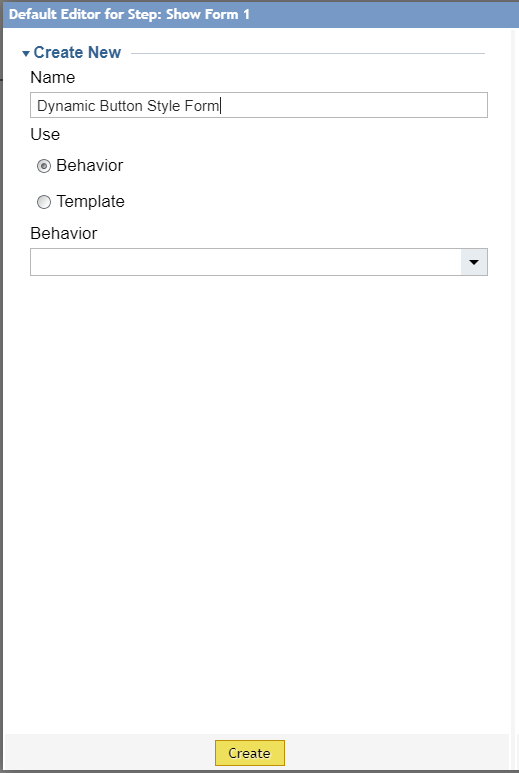 Back in the Flow Designer we add Create Data	step from the Favorite Steps	category. 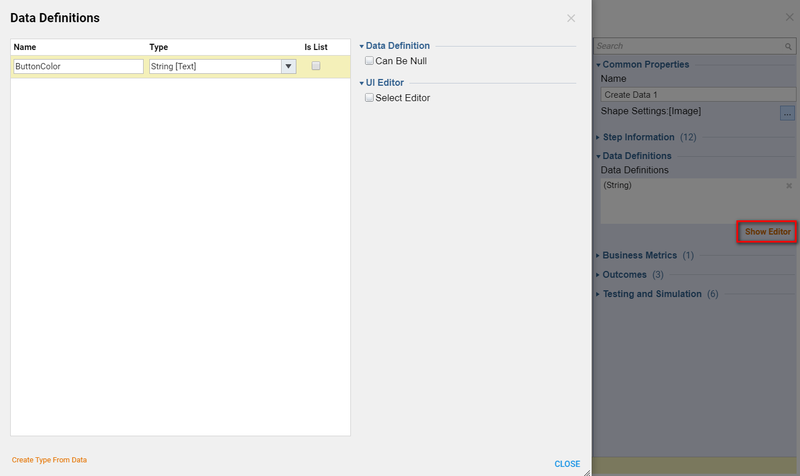 In theCreate Data	step settings we click Show Editor	under Data Definitions	option and define ‘ButtonColor’ String	data. 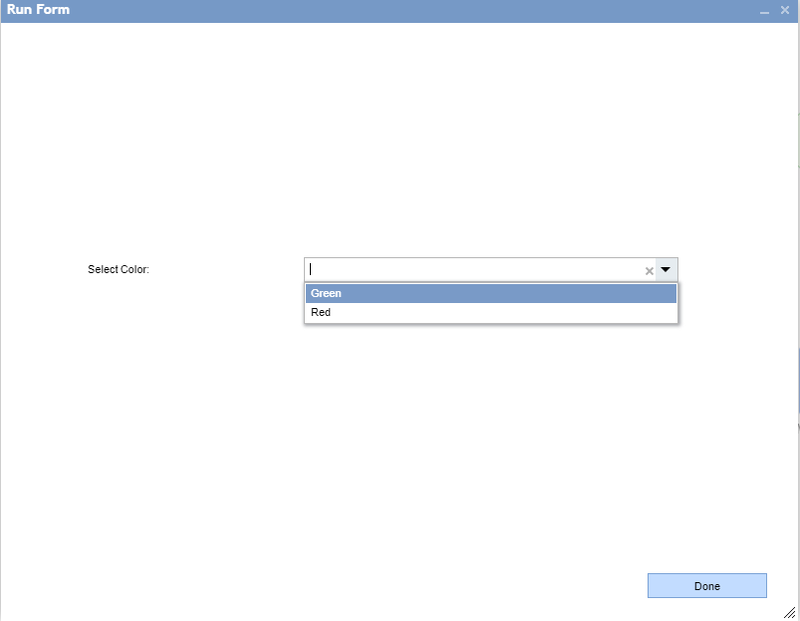 Then, close Data Definitions window. Next, we are going to evaluate our user selection with a Rule	. 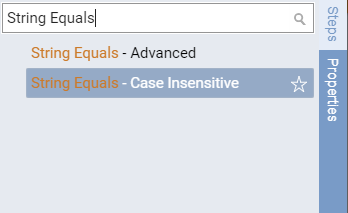 We add String Equals – Case Insensitive	step from All Steps [Catalog] > Data > Text	category. Then, we set up input data for this Rule . Forvalue 1	we define Constant	‘Green’ value, and for the value 2	we Select Value	of user selection (selected Color) . 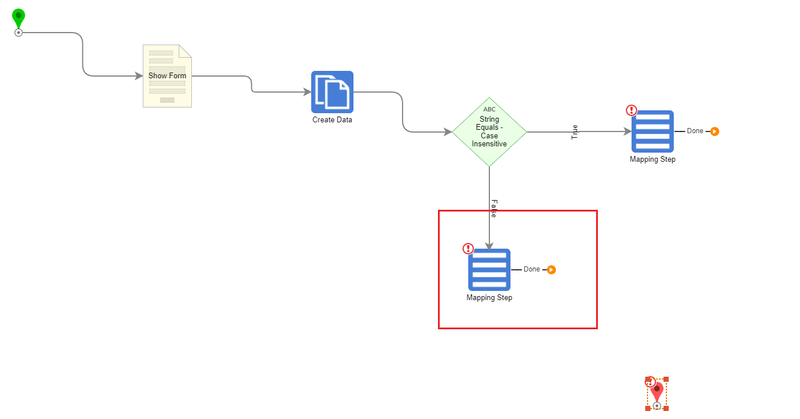 On the True	outcome from our Rule we add Mapping Step	from All Steps [Catalog] > Data	category. 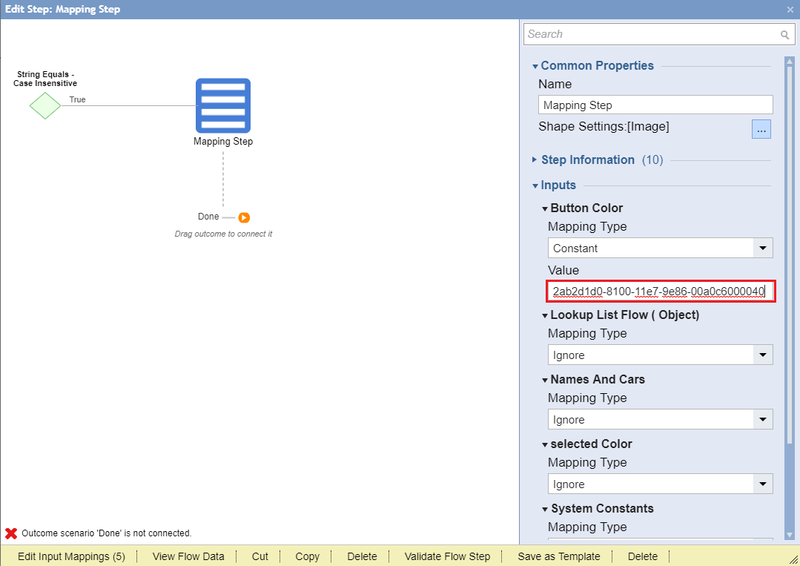 In the Mapping Step	Inputs settings we locate Button Color	data and define Constant Mapping Type	. For the Constant	value of the Button Color	we need to get theId	of GreenButton CSS	document in Decisions	. We locate GreenButton	CSS document in System > Designers > Css	Folder in the Portal	, right-click it, and select Manage > Get Document ID	option. 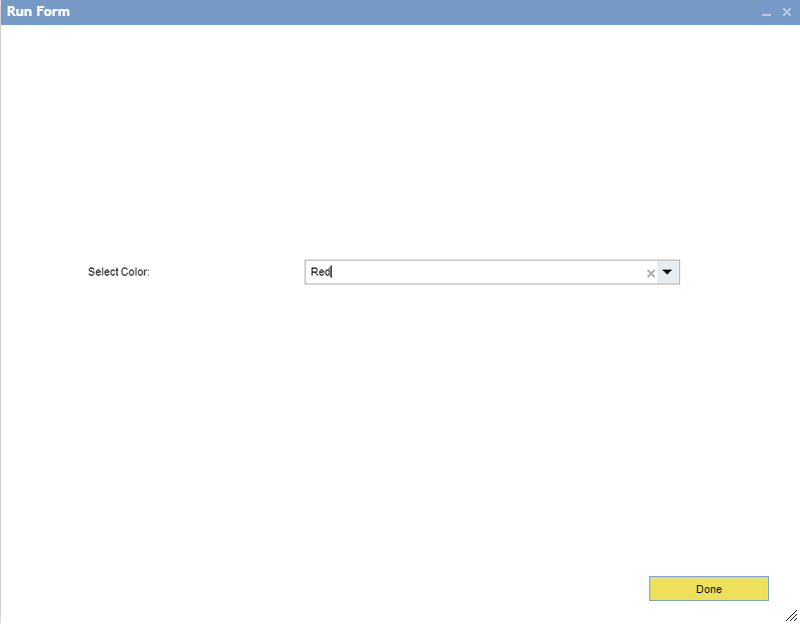 In the resulting window we copy Document ID	and close the window. 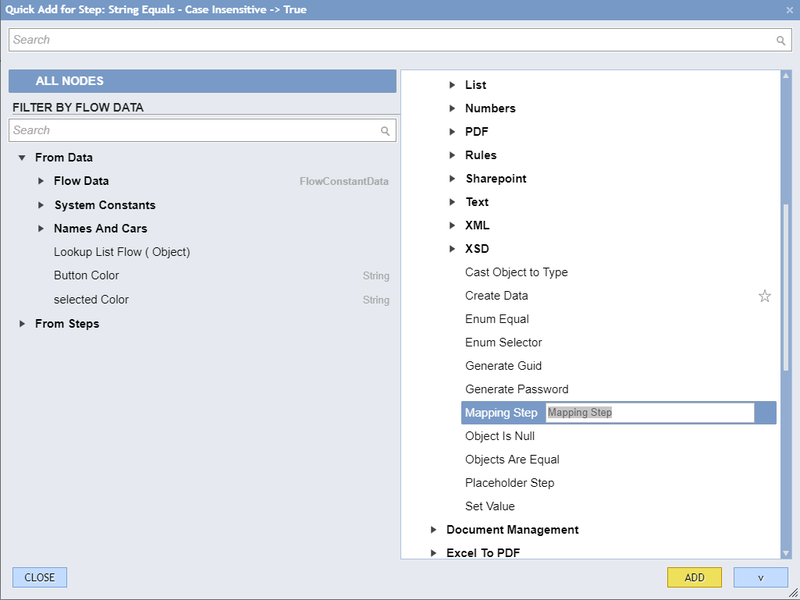 Then, we paste Document ID	into the Button Color	Constant Value. On the False	outcome from our Rule	we add Mapping Step	as well. In this Mapping Step Inputs	Settings we define Constant Button Color	with Value	of the RedButton	CSS document ID	. 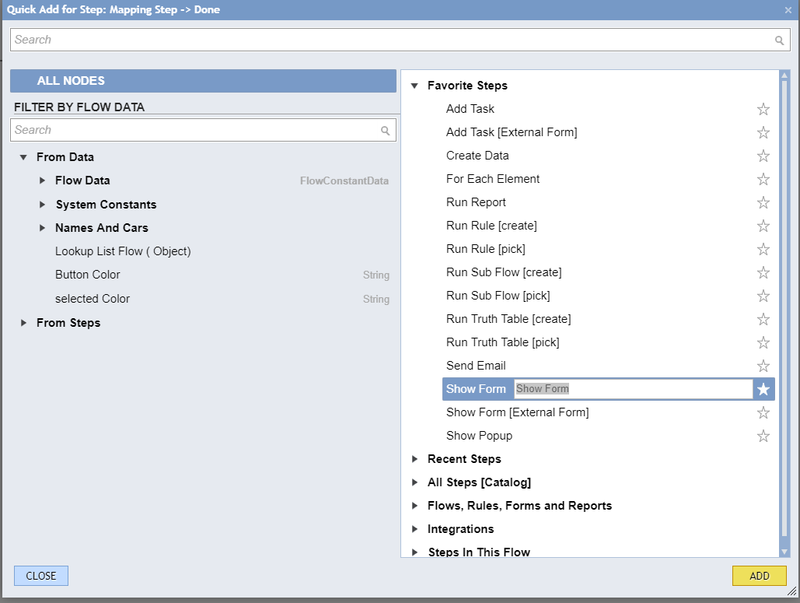 Next, we add another Show Form	step from Favorite Steps	category. 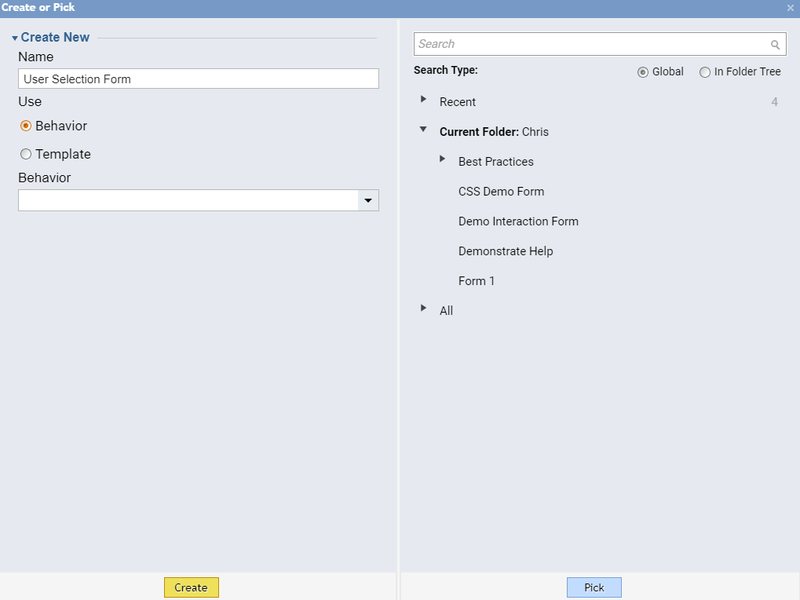 Name	the Form and click Create	to proceed to the Form Designer. In the Form Designer we add Button	control. Then, on the Form Properties	we locate Style	section and check Allow Runtime CSS File Name	check-box. Data Name	textbox shows up and we define it as desired (ButtonColor) . This completes our second Form . We save it and close Form Designer. Back in the Flow Designer we connect outcomes from both Mapping Steps	to the second Form step. 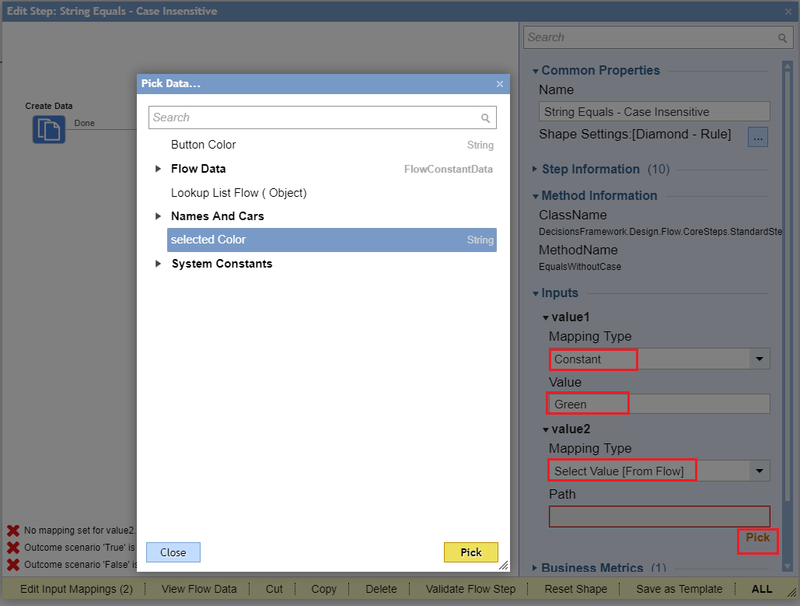 In the Form step settings we locate Button Color Input	, pick Build Array	Mapping Type and for Item 0	we Select Value of Button Color	variable defined in Create Data step. Then, we connect Form	outcome to the End Step	in our Flow . This completes our Flow . 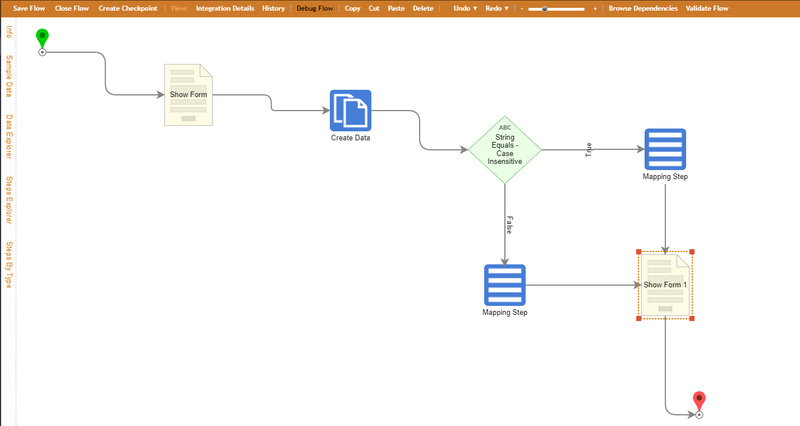 To test it we click Debug Flow	on the top panel of the Flow Designer. First Form , pops up and we pick***‘Green’*** from the drop-down list. Second Form pops-up and we can see that our Button	background is green . The Button	on the second Form will have red	background.